Analysis of Ochre from Porc-Epic Cave Spanning Thousands of Years « Adafruit Industries – Makers, hackers, artists, designers and engineers! Ars Technica have a fascinating write-up about the Porc-Epic cave in current-day Ethiopia and the multi-millennia of samples of ochre from the archaeological site. Using microscopy scientists are able to see variations in the development of ochre produced – even distinguishing ‘apprentice’ work from that of better-trained artisans. 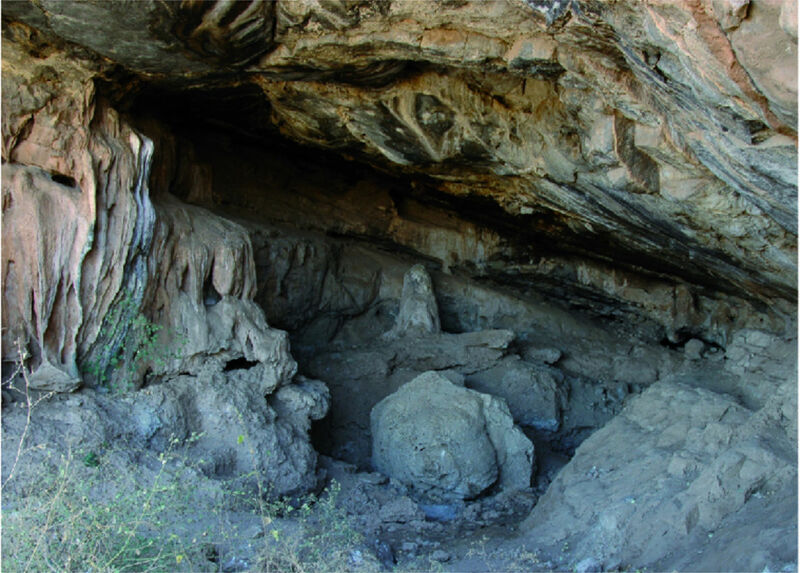 Porc-Epic Cave in Ethiopia, where people returned repeatedly over a period 4,500 years to make ochre, starting about 45,000 years ago. 45,000 years ago, in an area that is now part of Ethiopia, humans found a roomy cave at the base of a limestone cliff and turned it into a special kind of workshop. Inside, they built up a cache of over 40 kilograms of reddish stones high in iron oxide. Using a variety of tools, they ground the stones into different colored powders: deep reds, glowing yellows, rose grays. Then they treated the powder by heating it or mixing it with other ingredients to create the world’s first paint. For at least 4,500 years, people returned to this cave, known today as Porc-Epic, covering its walls in symbols and inking their bodies and clothes. Some anthropologists call it the first artist’s workshop. Now, a new study in PLoS One suggests that the cave offers us a new way to understand cultural continuity in the Middle Stone Age, when humans were first becoming sophisticated toolmakers and artisans. 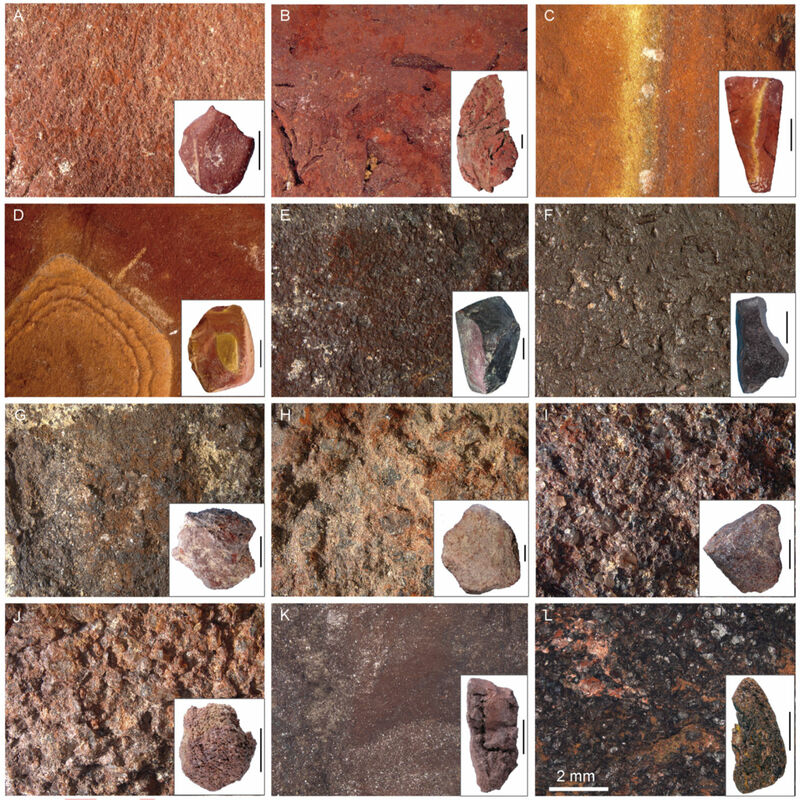 Paleoscientists Daniela Eugenia Rosso, Francesco d’Errico, and Alain Queffelec have sorted through the 4,213 pieces of ochre found in the cave, analyzing the layers of history they represent. They argue that Porc-Epic is a rare continuous record of how humans pass on knowledge and rituals across dozens of generations.